There wasn’t any way to find Love Season 2 explicitly on Valentine’s Day, but Netflix has the next best thing. See Gus and Mickey give it a second go in the first official trailer for the Apatow comedy’s second season, along with a fresh poster. Ahead of a March 10 premiere, the Gillian Jacobs-Paul Rust anti-romcom debuted a first official trailer and key art for Season 2, picking up with the cliffhanger-esque end of Gus cutting off Mickey’s declaration of space with a kiss. Among the guest stars visible in the new footage, there’s Wonder Years and Home Alone favorite Daniel Stern, along with SNL alum David Spade. 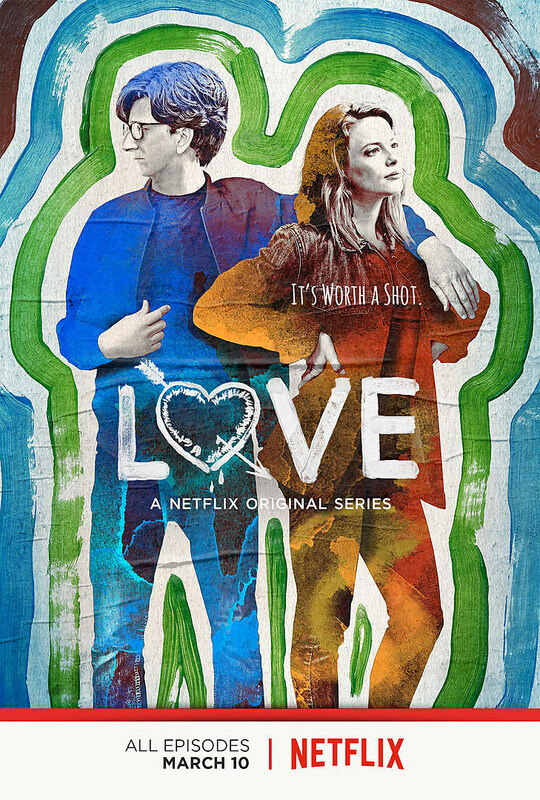 Love follows nice guy Gus (Paul Rust) and brazen wild-child Mickey (Gillian Jacobs) as they navigate the exhilarations and humiliations of intimacy, commitment, love and other things they were hoping to avoid. In the second season, Mickey and Gus face commitment and all that comes with it as they attempt to bring order to their chaotic lives. In addition to Rust and Jacobs, the series stars Claudia O’Doherty, Iris Apatow, Brett Gelman, Tracie Thoms, Bobby Lee, Briga Heelan, Kerri Kenney and more. Watch the first teaser below, and stay tuned for more Love Season 2 before March 10.